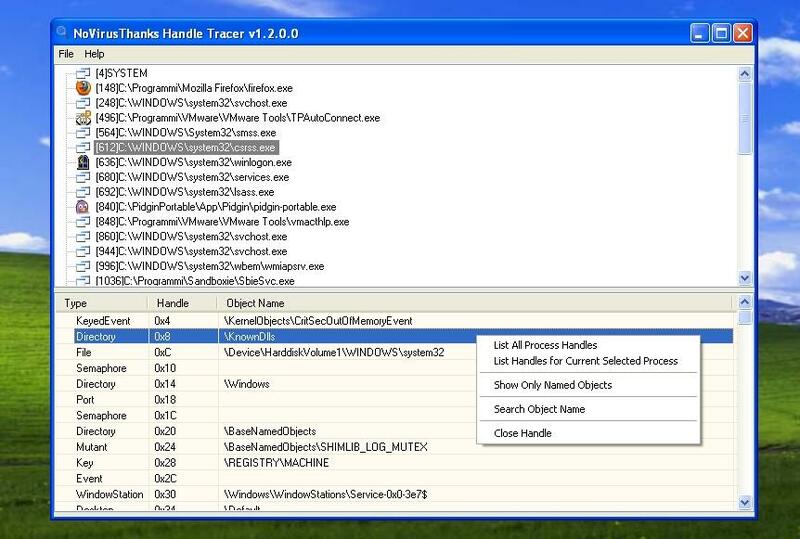 Handle Tracer is a handy software utility designed for listing, searching and manipulating open handles on 32-bit (x86) and 64-bit (x64) editions of Microsoft Windows Operating Systems, without needing to load any kernel mode driver. Handle Tracer can help developers as a debugging and performance analysis tool to analyze the object resource usage of their applications. View all open handles of running processes on a per-process basis. You can search an object name and close an open handle for a selected process. View detailed information about every open handle, i.e type, handle, object name.